Dr. Douglas Mapel graduated the medical school from the University of Texas Medical Branch and completed his residency program at the Texas Tech University at Lubbock. 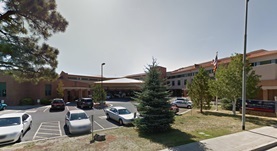 A fellowship in pulmonary disease followed at the University of New Mexico. Dr. Mapel is specialized in pulmonology and board certified in critical care medicine, internal medicine, and pulmonary disease. He has been in practice for more than 20 years and is affiliated with Flagstaff Medical Center. He is a member of the American College of Physicians and during his career, he has also published several writings of medical interest in partnership with other doctors. Dr. Douglas Mapel has contributed to 3 publications. Economic evaluations of fluticasone-propionate/salmeterol combination therapy for chronic obstructive pulmonary disease: a review of published studies. Roberts, M. H.,Borrego, M. E.,Kharat, A. A.,Marshik, P. L.,Mapel, D. W.; Expert Rev Pharmacoecon Outcomes Res. 2016 Feb 04. Mapel, D. W.,Roberts, M. H.; Drugs. 2014 May 07. Renal and hepatobiliary dysfunction in chronic obstructive pulmonary disease. Mapel, D.; Curr Opin Pulm Med. 2013 Dec 29.